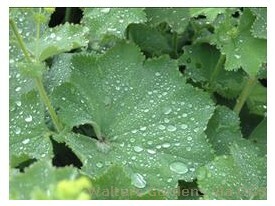 Product Information : The fuzzy leaves of this species catch the tiny dew droplets that glimmer in the morning sun. Foliage is soft grey-green and nearly round with deep lobes. Produces sprays of tiny, yellow-green flowers in spring.